I love the You Can Do This Project. With all my heart. I really do. 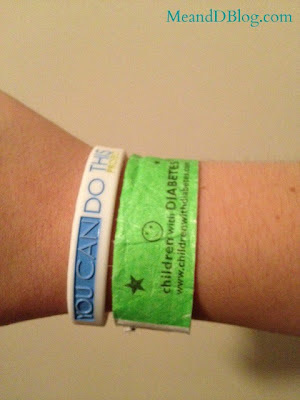 I wear my YCDT bracelet every single day, as I have done since Friends For Life 2012. This coming Saturday will mark my fourth time volunteering for YCDT at a diabetes event. I'll be joining Kim at the Taking Control of Your Diabetes event in Omaha, NE this coming Saturday, October 12th. And I can't wait! I love volunteering at the booth. I've met some amazing people, and heard some incredible stories. 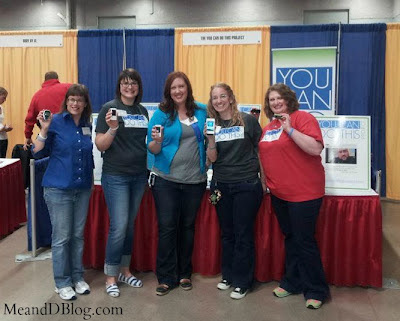 Spend some time talking to people at the YCDT booth, and you'll learn just how isolated most people feel with their diabetes. 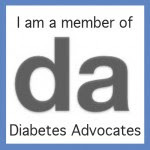 There are so many people out there with different types of diabetes, and yet the disease still feels so isolating to so many. That's why I love this project. It's a way to show people that they are never alone. If you're anywhere near Omaha, please consider coming to TCOYD, and be sure to stop by the YCDT booth and say hi. We'd love to see you! For more info about TCOYD, see here. Have a blast and enjoy the conference, Jess, and advocate away about YCDT! Thanks for spreading the word about such a great initiative and making a difference for D-peeps who need to know they CAN. Hope you all have a wonderful time! May 2014 TCOYD will be in Raleigh, NC...I am planning to be there, and hope to see lots of DOC friends there, too!